As you grow up and start becoming more aware of yourself, your mind finds a lot of visitors! One such thought which has now become a regular visitor of my mind is my sense of mediocrity. I am mediocre at everything – the realization which is not that good for my morale. Born in a middle-class family we never had extra money to splurge on, but had enough to have a decent living. When in school, I was bestowed with above-average intelligence, but was never the student who secured ranks. I was always inclined towards sports – overly enthusiastic and participated in almost everything but hardly got the podium finish. Though I was always a part of the song and dance performances in school, barring a few times, I was never the best performer. In short, I was not the star student of the school. My hobbies and passions changed with the passage of time. However, one thing always remained constant – I perpetually remained at the medium spectrum. This realization dawned upon me a few years ago and I must say it is not at all a good feeling. From our childhood we start idolizing and emulating famous people so that one day we can reach their stature. Then as your start growing up you can see your friends and relatives doing great works. You suddenly start assessing your achievements and come to the conclusion that you are neither good at anything not bad at anything! 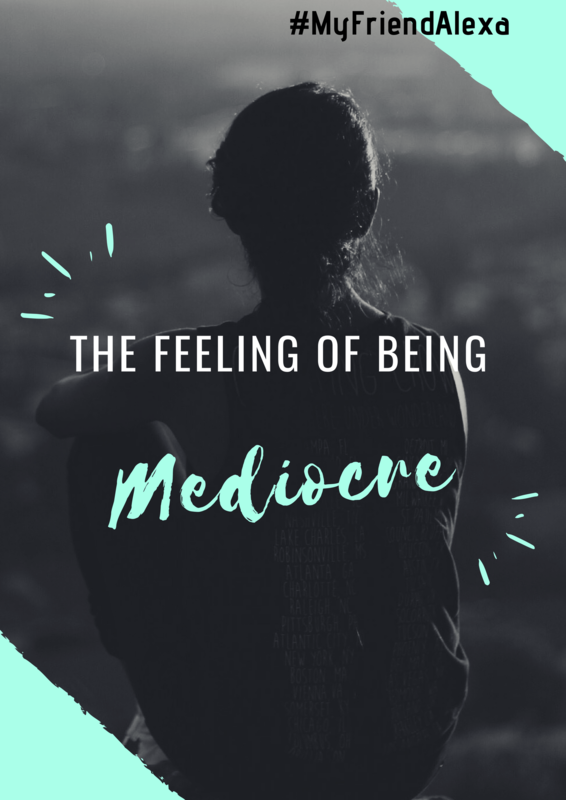 You try your best and strive to be GREAT at something, but after a few efforts ultimately reconcile to the facts that you are indeed ‘mediocre’. What happens then? You simply lose your ambition to get better as you already know you cannot reach for the stars. You carry on living your daily mundane life in a mundane manner. Mediocrity is your destiny and nothing can change it. There are times I feel if I was super talented in a single thing rather than being average at everything, things would have been much different. With so many half talents and half passions, it really becomes difficult to choose a single aspect to focus on. For me “Jack of All Trades, Master of None” holds very true. Yes, realizing that your are just ‘mediocre’, even after trying to be the best does make you feel bad. After attaining a certain age, I think ‘feeling happy’ about what you are doing is what matters. If you are content playing a side role rather than the protagonist in a certain play, so be it. Maybe all the average talents and the feeling of being happy and content is actually making you a great person who is valued by a small group of people who matters.